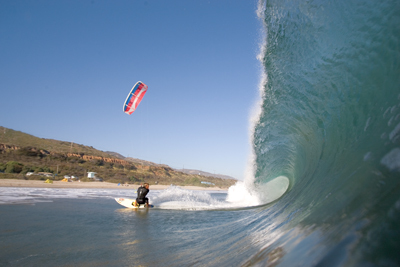 Simply put, California has tons of places to go kiteboarding. Whether you’re seeking some of the best waveriding in the States, smooth flatwater, top-shelf instruction, or just looking to get on the water, your riding options are endless. 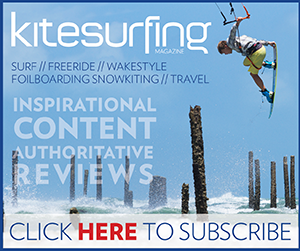 With a limited number of pages, and the desire to keep some spots for ourselves, this article features only 16 of California’s best kiteboarding spots. 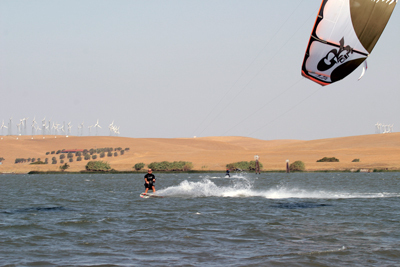 Each kiteboarding location is categorized in terms of wave, freeride, or beginner, and each is near a major metropolitan area (Los Angeles, San Diego, San Francisco) or is a well-known waveriding location. There are many other places to ride, some well-known, some sacred. But you won’t find them here. California is famous for its weather. People move here because the weather is so good—especially in Southern California. Having just moved to SoCal myself, this seems true; the weather is nice (at least compared to the Northwest, where I came from), with an occasional rainstorm here and there. A good portion of Californians do experience a sunny and pleasantly mild winter. When people say the weather is amazing here, they generally are not thinking like a kiteboarder. They’re not talking about the huge diversity of places to ride, each of which offers unique and constantly evolving weather conditions. They’re not using phrases like “steady thermals, lofty-clearing winds, double-overhead waves, buttery-smooth flatwater, and amazing place to take a lesson. I went riding in the afternoon and gambling in the evening, fun beach break, or you can surf there in the morning and kiteboard in the afternoon.” But they just might if they were a kiteboarder. 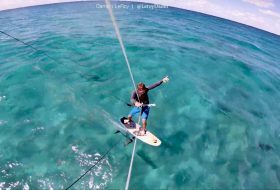 California is not uniformly blessed with epic kiteboarding weather, but when the weather sets up just right, it can make for a sweet day of wind and water. However, like any other sport, the measure of satisfaction is subjective. An epic day can unfold regardless of your ability, what gear you ride, how you perform on the water, or where you ride. As kiters, the wind offers us its wisdom. We need to be dynamic, let go, and adapt to the conditions at hand. If you’re planning a kiteboarding trip to California, you need to prepare for what time of year you visit, where you’ll ride, and your equipment needs. Kite sizes and gear preferences are exceptions, of course. • Wetsuits: If you’re coast-bound, chances are you’ll need a 4/3 wetsuit. This is true the further north you go. During winter, consider a thicker suit and layer. In the summer, wear a 3/2 shortie or ride in trunks inland and in the southern areas. • Kites: If you bring a quiver stacked with every size from 7 to 20 m2, you probably won’t miss a day on the water. However, most of us don’t have such a luxury. If you don’t already know, check with one of the local shops for details on what you should bring. • Boards: If you’ll be chasing swell or playing in beach break, bring a skim or waveboard (wave-specific kiteboard). If you’ll be riding inland, bring a twin-tip. California has a well-deserved reputation for its surf, so bring a surfboard. There are places to snowkite here, such as Tahoe, so you might want to bring your snowboard in the winter. 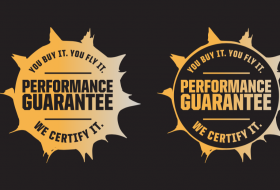 • Gear on demand: With the evolution of high-performance equipment, many shops and schools offer demos of the latest gear. Check out the school and shop lists for contact details. And keep your eye out for brand-specific demo tours. If you’re looking to take a lesson in California, your options span throughout the state. Many of the beginner locations featured in this article are more than just beginner places. With the development of fundamental riding skills (through a lesson with a certified instructor) comes the opportunity to practise, explore and progress as a self-sufficient kiter. 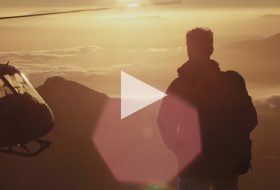 Most learning grounds transform into freeriding freedom once basic skills are mastered. Home of the annual King of the Bay kiteboard contest, Third Avenue has earned a strong reputation for a variety of reasons. This intermediate-to-advanced location offers strong winds, consistent conditions, a mellow community vibe, and a great point to watch kiters tear it up at one of the Bay Area’s most popular spots. Land-based and Jet Ski–assisted lessons are also a prominent feature of Third Avenue. • Launch and land kites in designated areas only (never in the bike path). • If you happen to get coated with Third Avenue’s notoriously stinky mud (especially on low tide), use the hose behind the windsurf rigging area to wash yourself and your gear off. • The upper launch area can be slippery when wet. Consider using a launch assistant in addition to an experienced kite launcher. • Be careful of the questionable winds at the lower launch. Consider the upwind launch for easiest access to the water. • Don’t ride or jump too close to the point (where the bike path makes a 90-degree turn); the wind direction can be unexpected and possibly put you into the rocks. • Visit bayareakiteboarding.com for more info. With its long and wide sandy beach, flat water, tame winds (usually less than 20 knots), favourable wind direction, and numerous schools to learn from, Belmont is a popular place to learn in the L.A. and Long Beach area. And if it’s not blowing, chances are there’s a surf session to be had nearby. • Watch out for stingrays, particularly in the summer; shuffle your feet when walking near the water’s edge. • Waveriding is allowed in the winter, but when the lifeguards roll out on June 22, you must stop riding the beach break. • Don’t jump or ride within 200 feet of the beach; technically, it’s a swimming zone. • Be careful for shifty winds in the fall and late spring. • Don’t get in the water for a few days after it rains, especially after a long dry spell. 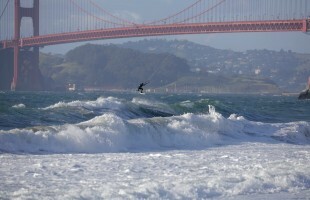 Check surfline.com for water hazard warnings and recommendations. Most spots on the coast are not ideal for entry-level riders, but East Beach is one of the few exceptions. With its steady and light winds (about 15 mph), vast expanse of sand, and favourable wind direction (sideshore with a touch of side-on), East Beach is home to Santa Barbara’s only school and is an exceptional place for intermediate riders. • For great grub, visit the Shoreline Café. It’s 15 minutes away near Ledbetter (a more advanced place to ride). • Stay 100-plus yards away from beachgoers. • If you’re looking for local lodging, bring a hefty wallet or purse; accommodations in Santa Barbara aren’t cheap. • If the fog doesn’t burn off, start looking elsewhere for a session that day. The closest shops are in L.A., Long Beach, or in the Bay Area. Also referred to as Stinkies, Fiesta Island, and Enchanted Cove, Mission Bay is San Diego’s most popular place to learn. With its shallow waters, big beach, confined and remote location, and friendly community vibe, this great learning environment is home to numerous schools. Although the winds tend to be light, Stinkies is great for intermediates. • Beginners should launch and stay downwind of more-skilled kiters. • Protect your feet: wear booties. • There is a small island known as “Initiation Island” in the downwind section of the cove—do not set foot on it. It is the home of an endangered plant species. You can walk on the shoreline, but not on the mainland. • Winds tend to be flaky on the shoreline, so get on the water as soon as your kite is up. • Call (619) 338-2073 for water-quality advisories in the San Diego area. With its steady winds, numerous high-calibre schools, and onsite accommodations, Sherman Island is one of the most ideal places to learn. Jet Ski–assisted lessons are the norm here, which makes for an effective lesson, enhanced enjoyment on the water, and an accelerated learning curve. However, without a Jet Ski ride upwind for a beginner-friendly launch, the main launch area is not suitable for beginners. • Bring a cooler full of food and drinks; it’s at least 20 minutes to the nearest store. • If you’re unsure if you’re ready for Sherman’s advanced launch, ask one of the many instructors for advice. • Bring $10 for camping, $5 for daily parking, and extra cash to tip your instructor after your lesson. • Stay 200-plus feet away from shore. Many of us return to the water because of freeriding. Each rider may have a different definition of what freeriding is, but chances are it involves the following: jumping, cruising, flipping, spinning, kite-looping, waves or beach break, or being on the water. The following freeride locations offer a diversity of conditions. Chances are, if you session these spots when the conditions are prime, you’ll come to understand why so many Californians have fallen in love with kiteboarding. A Bay Area gem, Coyote Point is a terrific place to learn. When the conditions come together, it is exceptional for freeriding and downwinders (to Third Avenue). As the tide goes out and the mucky shallows of Third Avenue are exposed, the secret of Coyote Point reveals itself: a large, sandy beach, allowing comfortable access to relatively uncrowded waters. On average, 12 m2 conditions. • When tide is high, launching here isn’t easy. Consider Third Avenue as an alternative. • Be respectful of the windsurfers downwind. • For happy hour, hit up Poplar Creek Restaurant Bar and Grill at the nearby golf course. If you’re looking for a surreal kiting experience of advanced proportions, Crissy Field might be for you. With the Golden Gate Bridge readily at hand, challenging conditions and kiteboarding races every Thursday (St. Francis Yacht Club Kiteboarding Series), Crissy Field is a unique and fun place to ride. • For Thursday-night race info, visit the St. Francis Yacht Club’s website, stfyc.com. • Wind tends to be light and fluky on the inside and strong on the outside. Launching can be unpredictable (especially on a SW wind). Once your kite is in the air get on the water ASAP. • Launch upwind of the windsurfers. • The beach can get packed, so be aware of your surroundings and look out for dogs and kids. • Since you’re right next to downtown San Francisco, cuisine choices are rich and plentiful. • Watch for boat traffic; it tends to be heavy. • Full wetsuit year round. • Be aware of powerful ebb and flood. • If you’re not a strong swimmer, you’ll have difficulties self-rescuing. Sherman Island is a top-notch place where newbies can take lessons from a variety of schools and learn how community-oriented, fun and migratory kiteboarders can be. 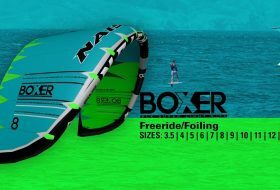 Sherman also appeals to advanced riders and pros with its buttery-smooth flatwater and steady winds. That it blows almost every day doesn’t hurt. The camping is also a huge plus. (Warning: without the assistance of a school, this is an expert-only launch). • If you’ve never ridden here, ask a local how to navigate the straight onshore winds and blackberry bushes, which make this a very advanced launch. • The launch area is small, so be tidy; move your gear out of the way when it’s not in use. • Make the 20-minute drive to In & Out for a mean animal-style double-double, fries and shake. If you ask, you can get a four-by-four (four patties plus four slices of cheese). • Bring $10 for camping, $5 for daily parking. Whether you want to ride at one of the windiest spots in San Diego or want to progress your surf-riding skills, go to Silver Strand. Also known as Cornonado or The Strand, with its slightly onshore winds and limited number of surfers, don’t expect large and super-clean waves. But they’re great for learning. • Ask a local or lifeguard where the designated areas are located. • Take a Jet Ski–assisted lesson from the school or shop in Coronado. • Don’t mess with the birds on the backside of the southern dune; they’re endangered or something. Don’t let your kite cast a shadow on them or otherwise disrupt them. • Looking for a “kite night” event? Join the folks from Cali Kites every Sunday night at 5 p.m.
• Don’t park in the Coronado Cays. Sunset Beach typically fires up shortly after Belmont, but Sunset tends to blow later. If you’re looking to stay on the water as long as possible, and you’re an advanced rider (can stay upwind, launch and land in a tight area, can handle onshore winds, mellow waves, rigid rules), you’ll appreciate the steady winds, friendly environment and maybe even get the chance to ride with a few dolphins. • On crowded days, pay attention to where lifeguards mark the designated launch and landing areas. They mark it with flags. • Do not attempt a near-shore downwinder here, or landing at the downwind beach (Bolsa Chica). Kiters have been banned from setting foot there. • Don’t ride near swimmers, surfers, or too close to the beach. • No kites within 100 feet of the beachfront houses. Whether looking for an intermediate wave or something more advanced, you’ll find what you’re looking for. Wherever you’re riding, the general waveriding rules should be followed: surfers always have the right of way, respect the locals, and if you’re unsure about something, ask. If the wind isn’t blowing at these spots, the waves might be firing and a surfboard could come in handy. If you’re looking for a change of pace from Pismo Beach (south of Arroya), or looking for a highwind, advanced wave spot where 8 to 10 m2 kites are the norm, Arroya Laguna might be for you. However, this place is for experts only and not for the faint of heart. Typically, there are large amounts of seals here—you know what that means. • Head to Cambria for lodging, great eats, wineries and cool shops to peruse. • When on the beach, don’t turn your back to the elephant seals. You never know. • Check out Hearst Castle in the nearby town of San Simeon. • Unless you can handle super-nuking and unclean winds, you’ll be off the water by 3 p.m., so arrive early. • Watch out for the rock points in the water. Located on the line between Los Angeles County and Ventura County, County Line is one of Cali’s windy, advanced wave spots. One thing that sets this place apart is its smooth and fun shorebreak, created by the near-shore kelp beds. With its cramped beach (especially at high tide), you can sit in your car and get a close-up of what you’ll need to rig. However, this comes at the cost of having to be careful of the power lines while launching and landing. This is not a beginner-friendly beach. • The southern end of the beach is usually the least crowded. • With a plenty of reefs along the way, the downwinder to upper Leo Carillo can be fun. But there is nowhere to pull out once you hit the beachfront housing (it’s all private property). • Be respectful of surfers; give them lots of space. • For good grub, hit up the fish-and-chips place across the street. • Don’t take offense if a local approaches you about the dangerous launch here. They’re trying to preserve access to this spot and make sure you don’t get sizzled. With its good wave quality, favourable wind direction (sideshore, with a bit of side-off sometimes), friendly atmosphere, rider capacity, and point break with waves peeling all the way around the corner, C-Street can be a superb place to ride. When conditions ripen, there will be lots of different peaks to ride. Be ready for a fantastic session. • If there are waves, expect surfers. It’s windy—give them at least 100 yards. • If it’s blowing and there’s a summertime SW or S swell, you want to be here. • Bring a couple bucks for beachside parking. • Keep an eye out for the big winter swell. Even though the gusty onshore winds, strong rip currents, and near-shore waves can make Ocean Beach a trying place to session, after riding here for awhile you’ll evolve into a skilled waverider (if you weren’t already). Also, this spot has a wide-open beach that is suitable for extended downwinders. Expect to ride 7 to 16 m2 kites. • On a super-windy northwesterly, it takes effort to stay upwind. Consider a downwinder. • After it rains, check the water quality before you ride. Local shops: Head to the Bay Area. If you’re looking for expert-only riding in some of San Diego’s most popular waves, you might have to share them with the surfers, beachgoers and swimmers. The waves can get big and semi-clean, so if you can handle it all (and the occasional gusts), then ride here. You’ll have a blast. However, if it’s over your head, please don’t jeopardize this gem. Troumaline was almost shutdown a while back. • If you haven’t been here before, chat with a local before hitting the water. • Be respectful and aware of swimmers, surfers, beachgoers and lifeguards. One of the windiest and most notorious places to waveride in all of California, there is good reason why Waddell has gained such recognition. When it blows here, it tends to blow hard (15 to 25-plus knots) and steady. Couple that with double-overhead surf and a beach that can handle all swell directions, and it becomes obvious why Waddell is so sweet. Although, knowing so requires experiencing it for yourself. • Mind the locals. Be respectful. Watch out for rocks (no, not from the locals… unless you poach one of their waves). • Head to Scotts Creek when the swell is big. But if you spend the three minutes driving there, be prepared for a higher calibre of riding. ridden there before, consider starting on a small day. • For a wide range of food and culture, visit the nearby city of Santa Cruz, just south of Waddell, and try Upper Crust Pizza. • The water is cold. You’ll need at least a 4/3 wetsuit in the summer. 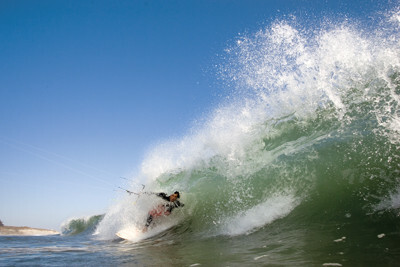 Brian Wheeler is a freelance writer who rides for North, Da Kine, Air Time Kite Repair, and most importantly, himself. 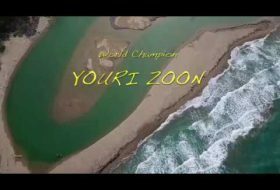 Wheeler is also a IKO-certified kiteboard instructor and a poet.